When not completely absorbed by the rigours of his trial practice, Ed revels in grabbing his camera and setting off on adventures around the world: thus was born The Crime Traveller. A frequent partner on his travels is the aptly named, Crime Traveller’s Wife, along with their two young daughters. Ed writes a monthly travel column for the legal magazine, Precedent and has also written travel pieces for publications such as Travel Lovers, Yummy Mummy Club, and Urban Moms. You can share and enjoy his photostream on Flickr. Ed welcomes comments, suggestions, stories or travel invitations. Follow Ed on twitter or e-mail him at Ed@TheCrimeTraveller.com. 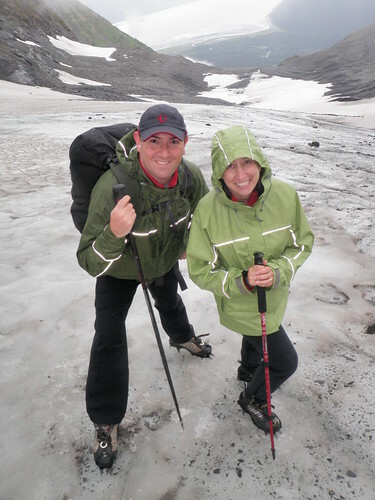 The Crime Traveller and his wife scramble up the Alyeska glacier in Alaska.